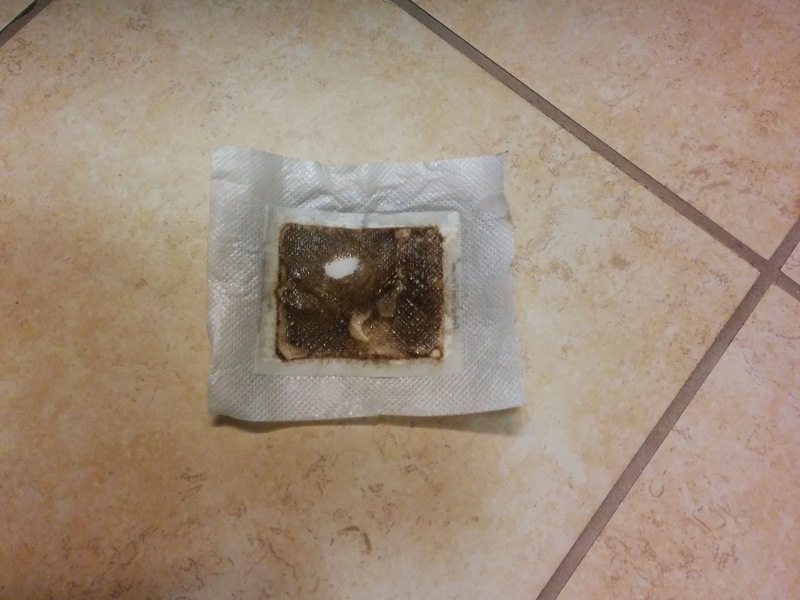 Here is a picture of the detox foot pad that I put on the back of my right hand last night, to sleep. I mentioned this a few times before in different blog posts, about how I injured my right hand and ever since then it occasionally gives me problems due to arthritis. I am traveling right now and carrying my luggage really did a number on my hand so it was nice to be able to have some foot pads with me to use at the hotel. I cannot explain very well -- the difference that I feel in my hand after wearing this to bed. But I am happy that it works. I first heard of the herb Coleus Forskohlii from my naturopathic medical doctor who diagnosed me with stage 3 adrenal fatigue and hypothyroidism. It was one of the herbs he started me on to help me heal. He said it would help support the hypothalamus-pituitary-adrenal axis (in the endocrine system). A lot of research that I have read online say that it has other benefits -- weight loss (metabolism booster), eye health and hypertension benefits (high blood pressure). I did not use it for any of those ailments. I ran out of the supplements prescribed to me by my doctor and so I was pretty ecstatic that I was able to test out this brand of Coleus Forskohlii. This brand by Natural Lane is definitely something that I recommend to others looking for a natural support for thyroid and adrenals. 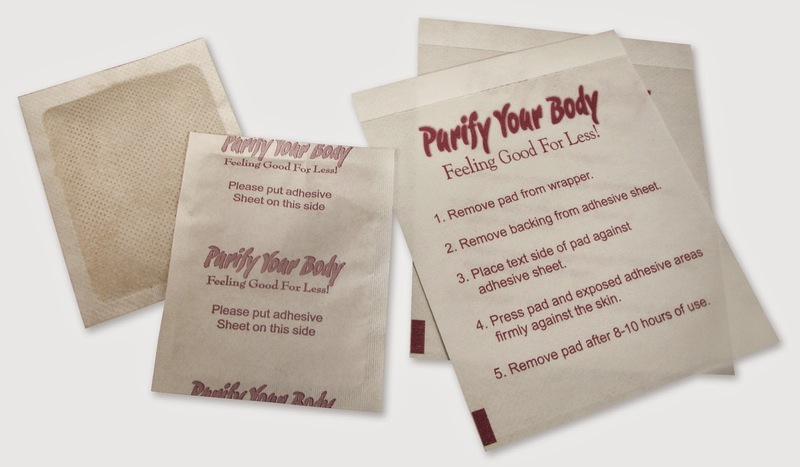 It began in January 2005 when I created Purify Your Body, LLC and started selling detox foot pads. My customers loved them, and it was successful from the beginning. Then about 6 months later I started selling a few more products that also did well. 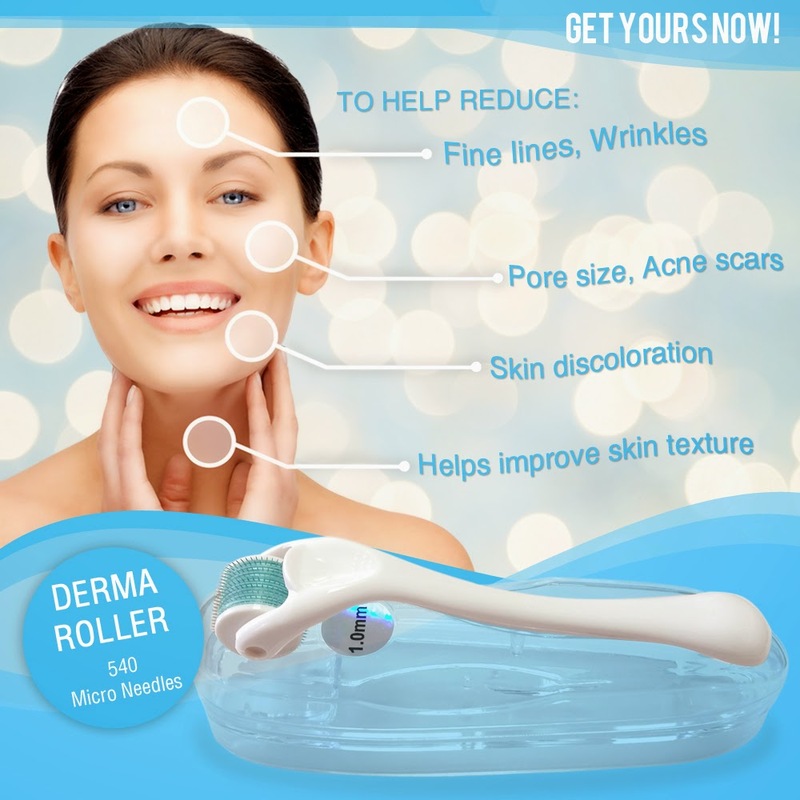 At that time, I found an MLM company that offered a product that would have gone great with my current product line up. By only offering it on my website, I got about a hundred dollars worth of business per month and I didn't have to sell anything at all! It wasn't a lot, and I was just small fish in a big pond. Then, out of the blue this MLM company got sued. It was a frivolous lawsuit, but they happen ALL THE TIME. The lawsuit also named about 10 "distributors" that they randomly found online. My company was one of them, along with 9 other distributors that didn't have an LLC, but only signed up under their personal name. It was a horrible experience being named as a defendant in a lawsuit. I had to fill out some paperwork and argue with the MLM to get my company off the hook, to actually enact the "distributor" agreement that I had thought protected me against things like this. And, it would have been a bit more dreadful for me if I had signed up as an individual, using my social security number instead of my business Tax ID number. Those 9 other defendants had a LOT harder time than I did and it cost them a LOT more than it cost me. Now, I see a gazillion people out there, as consultants for a myriad of MLM companies. And most of them do it under their own personal name! That is EXTREMELY scary. Many of my friends are consultants under their own personal name as a sole proprietor!!! ACK! I want to help them. LIABILITY: A sole proprietor has total control, receives all profits from and is responsible for taxes and liabilities of the business. LIABILITY: There must be at least one general partner that acts as the controlling partner and one limited partner whose liability is normally limited to the amount of control or participation of the limited partner. General partners of an LP have unlimited personal liability for the LP’s debts and obligation. LIABILITY: This classification generally offers liability protection similar to that of a corporation. No personal liability. So out of all these types of business entities, the one I recommend most for sales consultants that have created their own business representing an MLM is an LLC. This gives you the protection of a corporation, and you can operate it as a sole proprietorship with basically nothing changing except maybe you paid $100 to set it up (each state varies, and it is so easy to do, I will go over that in a moment), and now you have liability protection. As a sole proprietor, you (and all your personal savings accounts, etc) are solely responsible for all debts, lawsuits, and liabilities against your business! That is SCARY!! An MLM can even sue you as is the case with Mary Kay. You also may want to look into getting liability insurance for your new LLC, as well, depending on what type of product you are representing. What spurred this blog post was some folks selling essential oils and telling people they are safe to ingest. I am an essential oil lover, but know that ingesting them improperly is VERY risky, especially for children. I can see in the future someone buying essential oils from a sales consultant who told them to give to their 4 year old child internally.... and then the child's esophagus being burned and irreversible damage to the stomach lining occurring... and then that sales rep, who was only repeating what the MLM told her was "Safe" (although it wasn't) gets sued by that family, and loses not only her savings, but her husband's 401K, they lose their house, and everything they have been working for for the past 15 years. (not a fully true story but based on a friends' personal experience). If that sales consultant had an LLC, none of her personal accounts would have been touched. (In all fairness, anyone can sue anyone, so she could be sued personally, still, but that would get dropped from court so quickly). As a sole proprietor, you and your business are legally inseparable. In other words, your company's debts are legally YOUR debts. And a lawsuit brought against your business is also a lawsuit against YOU. This means your home, car, savings and investments could all be taken from you should your business get sued or go into debt. So, how do you protect yourself? Create an LLC! Choose an available business name that complies with your state's LLC rules. File formal paperwork, usually called articles of organization, and pay the filing fee (starting about $100, depending on your state's rules). Publish a notice of your intent to form an LLC (required in only a few states). Each state has different requirements, but when I created mine initially in Minnesota, it cost about $100 and I had to fill out 2 pieces of paper and sign. That was it. I didn't even need to notarize it. You will want to go to your state's secretary of state website. (Google "Creating an LLC in XXXX state") Or you can pay a company like ZoomLegal or New Company to do it for you. But honestly, I recommend you doing it yourself, it is super simple and may save you from severe hardship in the future! 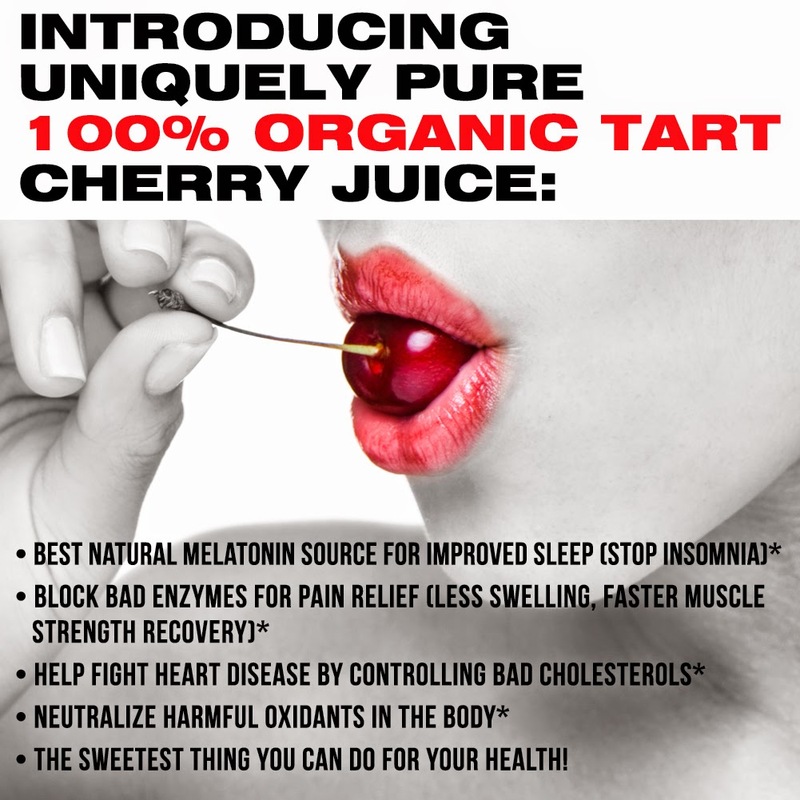 I was excited to try the Organic Tart Cherry Juice from Elite Gold Solutions. I have horrible insomnia and also I have very bad hip pain thanks to a bad hip joint and also bursitis in both hips. So when I got the opportunity I was happy to oblige. 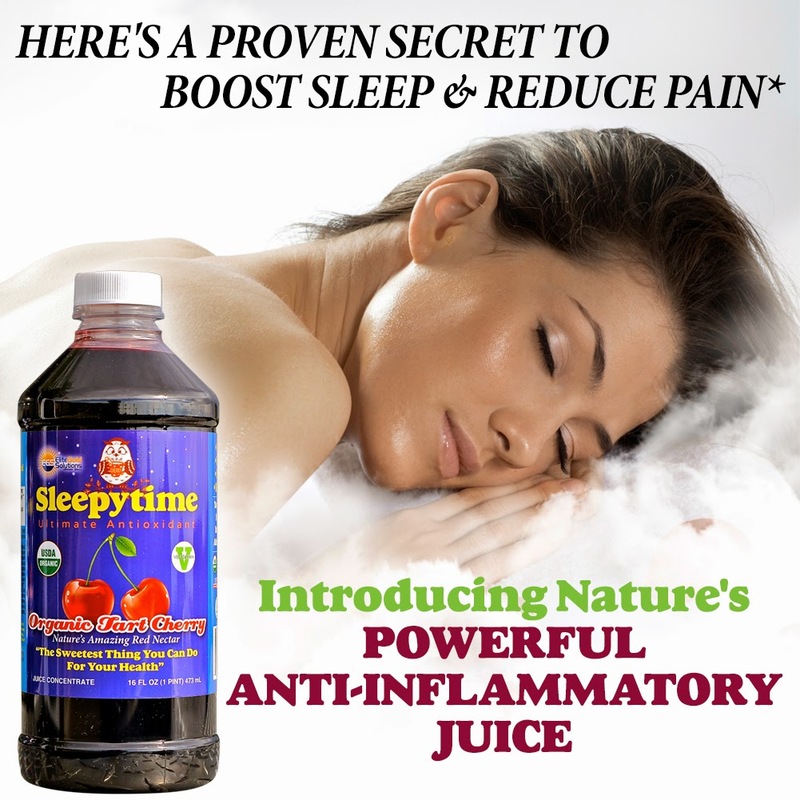 Cherry juice for insomnia has been all over the internet lately. Many bloggers that I follow have been writing about how well it has helped their children sleep at night. Before this, I have only known cherry to be good for arthritis and joint pain, so this was news to me. I already try a ton of things for my insomnia. I have a unique form that doesn't seem to respond to anything. I have things that make it better.... especially my serenity sleep meditation CD that I listen to. But I have to get a new MP3 player and load it on, as my MP3 player stopped working a couple weeks ago. I fall asleep easily, that is never the issue. It is staying asleep that is my biggest problem. The company offers a money back guarantee that you will be able to improve your sleep or relieve your pain. So, I ran out of melatonin and figured I could start taking this instead. I have been taking it for about a week and a half now. And I have to admit it doesn't taste very good to me. It is extremely tart (which gives it the potency). But, I do think I am sleeping a little better. However, I still have extreme joint pain and haven't seen any improvement with that. So I think that I will have to take it for at least a month or so to start seeing improvement in my hips and SI joint. - Add to your favorite dessert, ice cream, yogurt, fruit, or pastry and BEYOND! 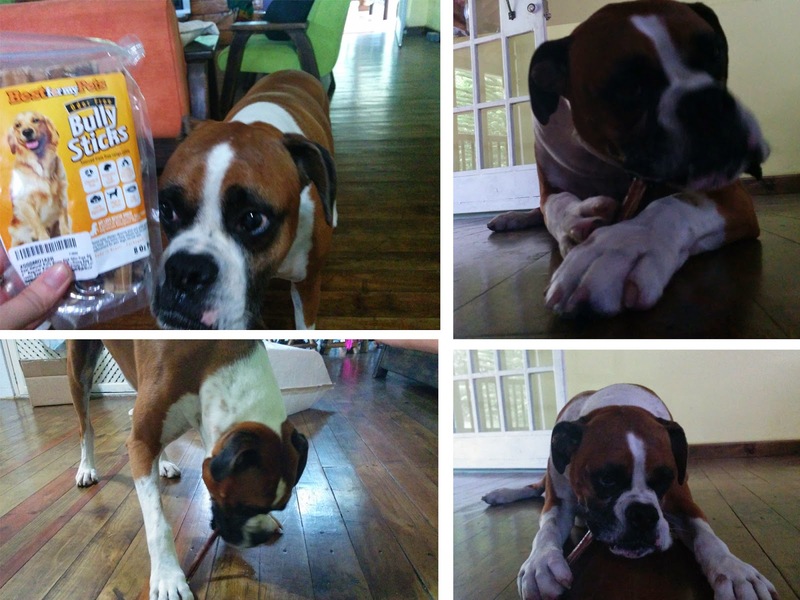 I came back from a business trip to Canada and my bully sticks I ordered the week before, had arrived. My dog was crazy with excitement at my return, wouldn't stop jumping and doing the famous kidney bean dance that boxers are known for. And to make matters even better, I gave him a bully stick as a treat. He had never had one before so I didn't know how he would respond. Boy was he even MORE excited than he was a few minutes earlier when I arrived home! So, I took a look at the bully sticks and did some research -- my dog eats partially raw diet with grain free kibble (we currently use Taste of The Wild grain free formula), and he never gets any people food that contains grains in it other than rice or oats. He is a healthy 85 lb boxer boy who recently celebrated his 6th birthday. And he is my baby. I want a good quality product. These ones are made of dried muscle from free range cattle raised on the green grasses of Brazil. They are gluten free and grain free, 100 percent digestible. They are hard like bones. And my dog LOVES them. He played around with the one I gave him the next day. Jumped and pounced on it, took it in his mouth and shook it (the kill shake) and then tossed it, and ran after it. Growled at it. Batted it with his paws. However, they are very expensive and I do not see getting these very often for him. They are on sale for about $28 from Amazon, for 14 quantity of the 6" length bully sticks. That is about $2.00 each stick. Regular price listed on Amazon is $68.90 with a list price of $48.00. Because my dog is large, the bully sticks were quite small. These ones were made for smaller dogs, I would say between 20-40 pounds. I didn't see an option for a larger size, so this may be the only size that is available. Testimonial from a customer -- awesome and thank you! My detox foot pads came yesterday and I could have cried I was so happy this morning! I had my husband use them. He has MS and also Celiac's disease. He was skeptical, but agreed to do it. He took them off in the morning, and commented on how GROSS they were. And then went on his way- I didn't dare ask if they helped him at that time. So, after he showered and was getting ready for work, I just asked if he felt like he had any more energy this morning- his response- "No, but I could pick my feet up on my own to get in the shower today- that hasn't happened in years and I haven't had my medicine or used oils yet today- so strange." I asked if he thought it was the foot pads and he said it had to be because he hasn't done anything different and yesterday was a really stressful day at work, plus he did a ton to help me when he got home, and he'd gotten up with me and the baby every feeding during the night because of how tired I have been. He should have been dead beat today! Normally to get in the shower he has to hold onto the wall with one hand then pick his legs up one at a time with the other arm to get them over the side of the tub. He didn't have to this morning- his legs picked up high enough on their own! Incredible!!! So he took his meds, we did his essential oils on his spine, and he drank his red juice like he normally does and went to work. I can hardly wait to see if he notices a difference in his day. And he told me to order plenty more of those "foot thingies" as he left for work today! A respiratory illness that has already sickened more than a thousand children in 10 states is likely to become a nationwide problem, doctors say. The disease hasn't been officially identified but officials suspect a rare respiratory virus called human enterovirus 68. According to the U.S. Centers for Disease Control and Centers for Disease Control and Prevention, the virus is related to the rhinovirus, which causes the common cold. So I have some recommendations on things you can do to boost your immunity and prepare for the possibility that your child will bring this virus home. 1. True Colloidal silver (NutraSilver is one of them) start taking it as a preventative but it can also be used to treat it.... it can kill MRSA and staph. The only other true colloidal that I know of (not just ionic silver which is pretty clear liquid) that I may recommend is MesoSilver, although it is not as potent as NutraSilver. 2. Dr. Christopher's Super Garlic Immune blend. This stuff has been called the "Anti-Plague" remedy and you can make it yourself if you want to -- here is the recipe. 3. Detoxing the body so that if exposed, your body can fight the virus a lot better. My detox foot pads can help with this. They are easy to put on children and because of the small size of their feet, usually one foot pad can help detox their whole body! 4. Bone broth. Make sure you have healthy, organic bone broth ready to make (freeze some bones and veggie cuttings so you can make them if your family starts showing symptoms). Store bought bone broth WILL NOT BE EFFECTIVE. 5. Vitamin C, Vitamin D3, Magnesium, Zinc and other antioxidants -- keep them on hand! These can be used as immune boosters, and then double the dose during the illness (for up to a week) to provide support. 6. 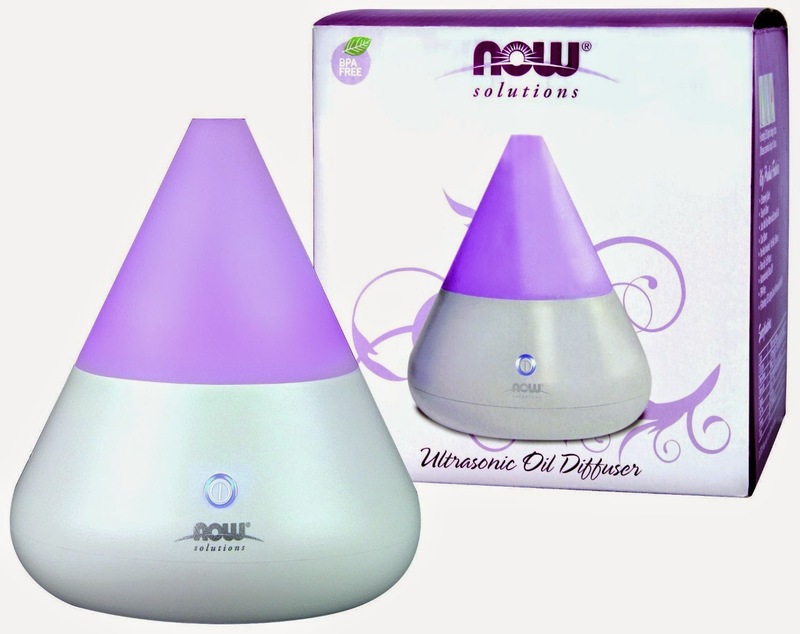 Essential oils in a DIFFUSER. (I am not a certified aroma therapist so I cannot tell you that it is ok to ingest or put on a child -- some are dangerous for young kids and babies and I do not know which ones). I would use a Thieves/OnGuard blend but also any other anti-virals that you have, and diffuse them throughout the house. 7. I personally love Miracle II's neutralizer, as it balances the pH and is so easy to take, you just put a few drops into liquid. it is clear and doesn't taste like anything, so kids can easily take it. 8. Remove all sugars and cut out processed foods and most grains during illness... (mainly gluten and corn). Drink lots of fluids. 10. Manuka Honey. This is a bit expensive but a little goes a long way and I bet it won't be hard to get your kids to eat this! 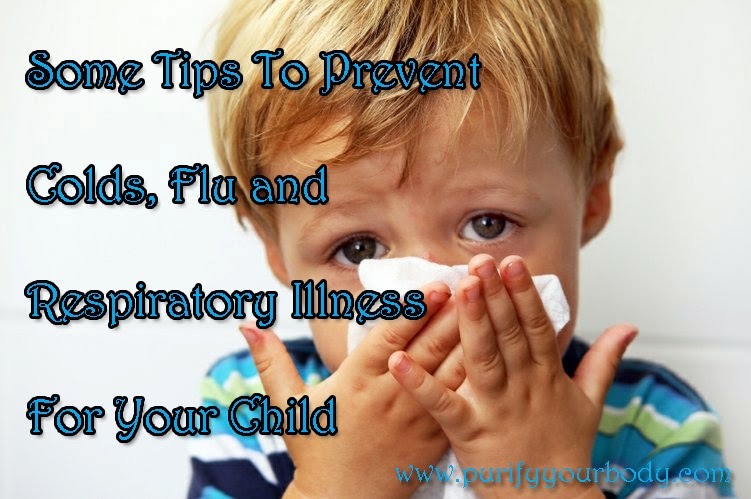 There are other things you can do to help with the easing of the symptoms if your child does get this virus. Specifically for the cough and lung congestion. 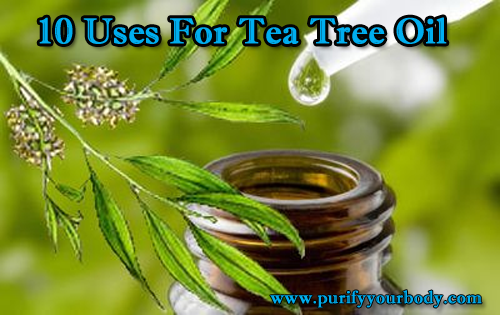 There are herbs, bentonite clay poultices that you can put on your child's chest, and different essential oils or homeopathic remedies that can help acute symptoms. But remember, this is a virus and antibiotics won't work on it, so unless your doctor feels that a bacterial infection has occurred, please avoid antibiotics. And if your child ends up on antibiotics, remember to replenish the good gut bacteria for best results.